What the heck is affiliate marketing anyway? A marketing practice based on the internet in which affiliates are rewarded for marketing on the behalf of other companies, bringing customers/visitors to the business’s site. So you need no stock, no shop, no billing nothing except a marketing machine. What sort of products can affiliates sell? The list here is pretty endless and It all depends on you. What sort of thing are you interested in. You can sell insurance, health products, Animal things, building bits, Jewelery, watches, clothing, shoes, sporting equipment, computers, phones and on and on. You can sell virtual products like training programs, e.books, games anything you can download could be available for you to make money on. Log into Amazon the biggest affiliate marketer in this world and see the list of products. These are all available to you to sell. Each of these has a specific market and it is just how you target the market that makes the difference. Where do you start with Affiliate marketing? Like any business or activity you need to gather the basics before you start. To not do this will lead to frustration and failure. Furthermore if you have no idea or plan you will not get accepted as an affiliate , or worse accepted and cancelled for not performing. Amazon is the easiest to get into but also the easiest to get out of as they cancel for non performance. You wake up one morning and decide that running a marathon is your thing. Now you have your product what comes next? The Boston Marathon is eight months away so that could be a great goal. Your problem is then a mile/kilometre is a long way so you need to work up to it. You now plan a training program based around an end result. 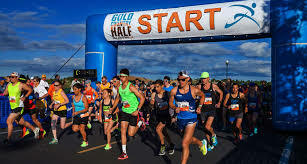 Doing a half marathon first is a good start but what of equipment? Don’t ever do long distance running without a very good pair of shoes or injuries will happen. Then you will need a nice pair of loose fitting shorts, same with a T.Shirt and if a girl some support for the bouncers. Running distances is hot and hard so have some vaseline handy for the parts that rub together. Trust me I have done this. Then starts the challengers, good days, bad days, cold days, hot days, minor injuries and the list goes on. 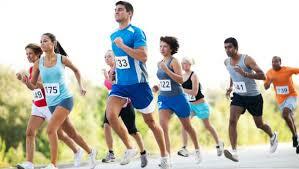 Affiliate marketing is like a marathon. Now products are everywhere and all you need to do is decide what sort of products suit you. Type into Google a product then the word affiliate and see the list. Places like JZ Zoo, Commission Junction, CJ affiliates, shop .com, Share a sale, Clickbank all have lots of affiliates offers but most are not that good. I would say about 10% will make you money the rest will take your money. Do you have to pay to be an Affiliate? This is a yes and no answer. Some products require you to pay and some to join. Others will insist you use their product while buying advertising is not out of the question. At the start keep your money in your pocket. The internet is full of scammers and they are often the better adverts. Promises of riches beyond belief working but a few hours a week from the couch while watching TV. Furthermore, your Ferrari is being washed by the home help as you plan an extended offshore cruise. To this day people still get sucked in big time so don’t let it be you. 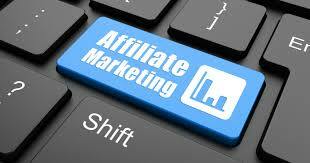 You are warned that affiliate internet marketing web sites are ready to take your money. First of all, you need to learn a few skills along the way. Then you will need to know about marketing and web pages, SEO and links and Funnels and Blogs and all things Internet. Finally you will need an understanding of attracting people to your affiliate site so that you pass them through. The best place to start is at The Wealthy Affiliate. Now, this is a program that takes you from step one to step money in easy lessons. The important thing here is that none of your money changes hands until you are trained and ready to launch a great Internet career. This will be at a time when you have an understanding of just what you want and how you are going to go about it. It will be like the Boston Marathon because you have taken all the steps to get there and be confident of success because you are ready. You will be so ready to take the challenge because you have allready started to rack up minor victories. Symbolically the 12 k run done, the half Marathon done and a three hour prep finished. You are so ready you can not fail. The prize of success is yours for the taking. 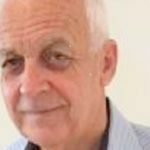 When you log into Wealthy affiliate you will see the Blog forum with members comments, read them and learn from them because they are users just like you and me. Folks from all over the world, every nationality and age included in a family atmosphere. There are no prejudices here, everyone is equal and the only leveller is your very own personal work ethic. It is not an overnight success. Nothing comes that easy but it can be an overriding success. See comments like got my first sale today too one saying I made $40,000 this month. This from genuine members with nothing to gain but sharing their enthusiasm.